Endless Celebration in front of Bellevue Place, Bellevue, WA is a fifty one foot cast bronze sculpture commissioned by Kemper Freeman Jr. and created by Gesso Cocteau. It was installed on November 18, 2005. 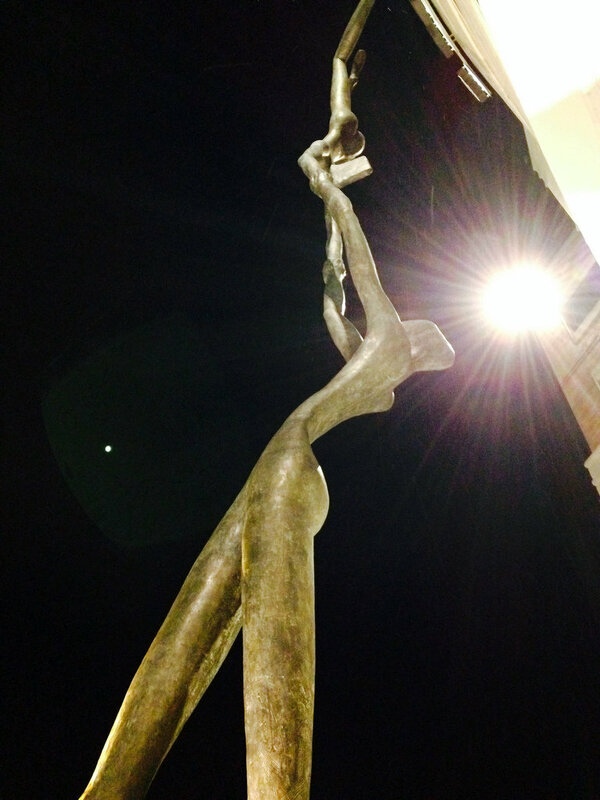 It is the tallest standing cast bronze sculpture in the United States. To see more of the artist’s work including additional photographs of Endless Celebration, go to her website. This entry was posted in Art -- there is art here!, Bellevue, WA State - King County and tagged art, Bellevue, Bellevue Place, bronze, cast, Endless Celebration, Kempre Freeman, sculpture on January 4, 2014 by admin.